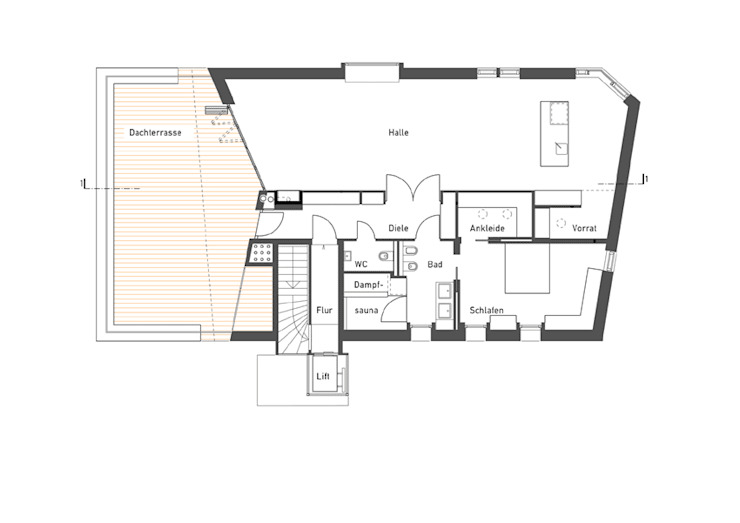 Before you start building a house, you'll need an architect onboard to draw up proposed floor plans, but if this sounds like a boring stage of the process, think again! 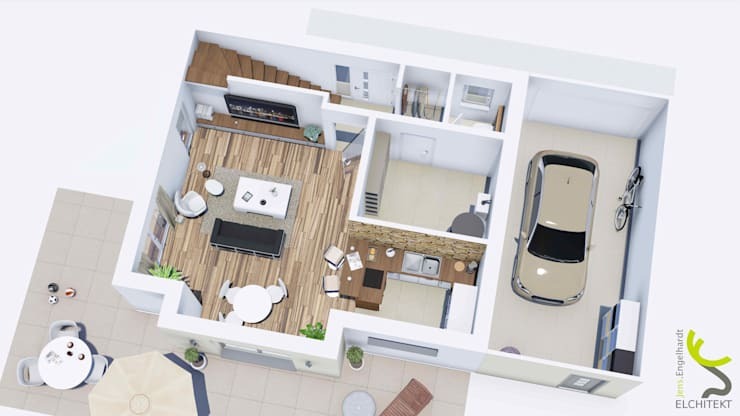 what these dynamic illustrations and renderings show is exactly how your home COULD look and function, so you should be very excited to be a part of this, as it is when the floor plans are in front of you that you can make changes and alter the way your home will operate. 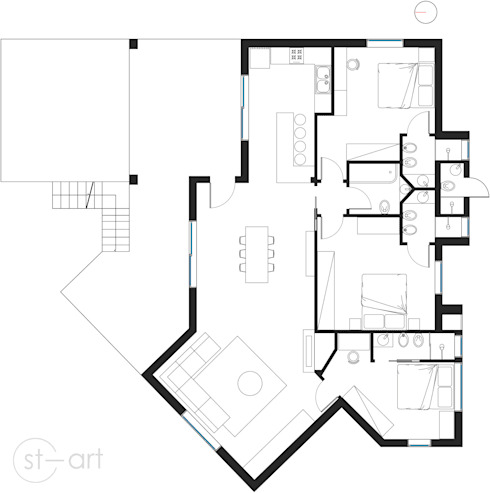 Why not come with us now, as we show you some fantastic floor plans that demonstrated just how useful these drawings are? We've selected a range of properties, so as to let you see that EVERY home can be planned to perfection, from contemporary villas through to simple bungalows. 1. A small home first floor. 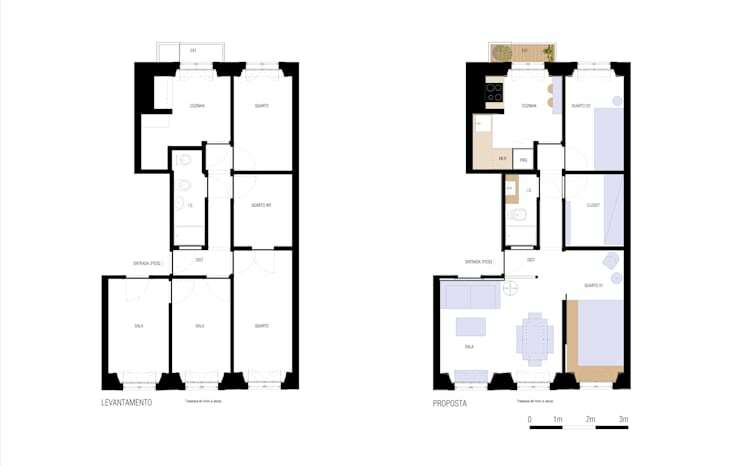 When you're working with a small amount of space, floor plans are utterly vital, as you can simply tweak the proportions of each space, to ensure that you have the biggest amount of room, where you need it most. You can also start planning things such as the amount of kitchen storage you'll be able to include, which will impact greatly on the manufacturer you purchase from. You might fancy an open-plan home, but how you can you know, until you see it in front of you! Look at the way the kitchen, dining and living spaces all intertwines here! You would be able to make a more informed decision as to whether a static sofa position, forever, would suit you! 3. With a garage included. Ever wondered how an integrated garage works with the rest of a home? 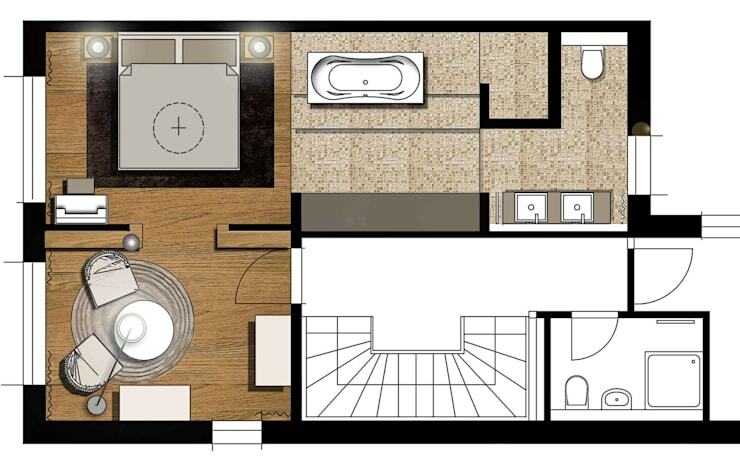 Wonder no more, as this floor plan shows you! You can see which rooms the garage connects to and, think about how you'd adapt the add-on, should you ever unexpectedly need more room. Bungalows must be SO much fun to draw and plan, as literally every facet and each room is all on one single level. The 'roof-off' view really gives a great idea of just how usable the house will be and gives an insight into what is most important to teh potential owners as well. Just look at that sociable open-plan central area! 5. An inspired before and after. If you're not actually building a new home from scratch, but rather renovating an old or existing property, floor plans will quickly become your most trusted tool and resource. You can dramatically change the interior landscape of a home, but unless you know that it will actually work, you could be heading into disaster, but this snapshot shows that a simple drawing can tell you if you're on the right track or not. WOW! Let's say you have a fantastic budget to work with and you have always dreamt of owning a penthouse apartment. 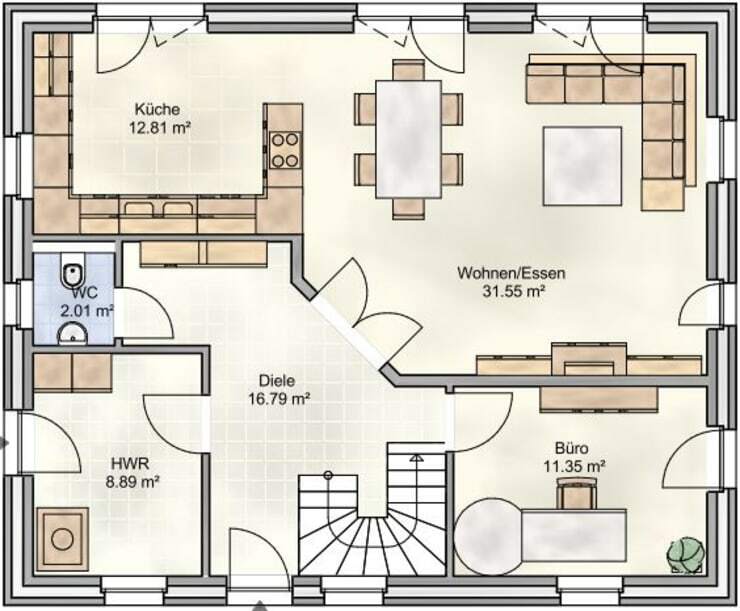 Well, dream no more, as a floor plan will show you everything that you can enjoy with your money! They can even illustrate how mezzanine floors can be added, to garner as much functionality from a space as possible. 7. Connected to the garden. 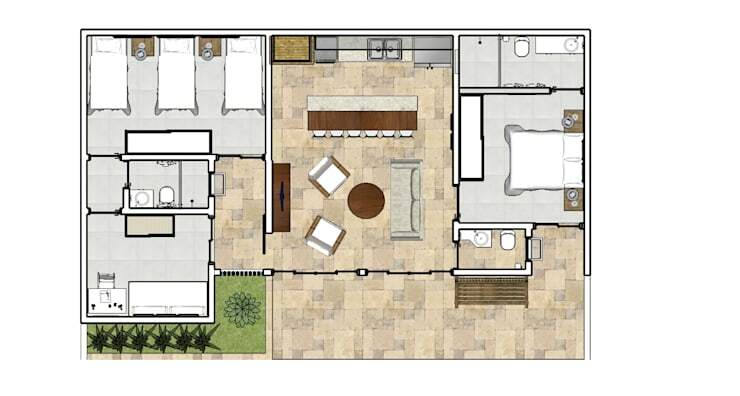 If you know that connecting your home and garden will be of the utmost importance to you, floor plans will give you a great sense of how intrinsic your connection will actually be, before you try to put it in place. Here, we see a home that opens up to a terrace and garden with such ease and, are you loving the singular flooring style? What an inspired way to bring two spaces together! 8. All about the views. 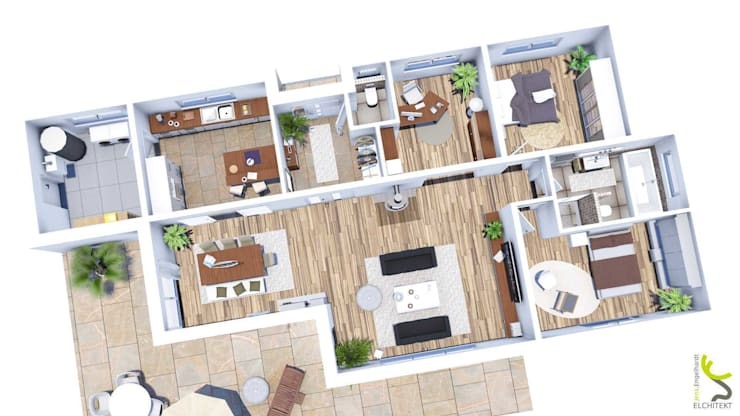 We always love these detailed 3D rendered floor plans, as they look like tiny little models that you can play with! On a more serious note though, they are a wonderful way to visualise just how spectacular a new home could be. If you want to think about light flow and setting, a plan like this one will give you all the knowledge you need, so you can add windows, raise floor heights or do whatever you need to! 9. A luxury villa like no other. Don't you go thinking that floor plans are only good for simpler styles of homes, as they are just as useful when it comes to designing ultra complex and luxurious homes as well! The secret is to create a layered plan, with each floor treated lile an individual project, so you get a clean cross section of homes, as a whole! Just look at this spectacular villa and you'll see what we mean! And that pool? Wow! We all know that houses don't have to simply be square or boxy, but the contemporary shapes that are being experimented with right now can be a little hard to picture, unless you have a fabulous floor plan! Look at this project and you'll see what we mean, as any architect would struggle to describe this shape and the layout of each room. In a drawing, however, the entire design just looks phenomenal. For more dynamic drawings, take a look at this Ideabook: 5 modern houses with their blueprints to inspire you.